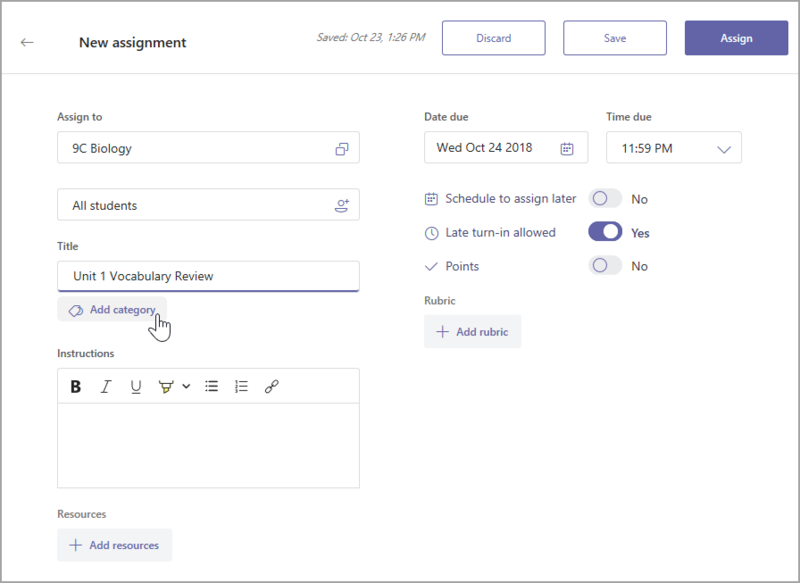 Add categories to assignments to help you organize them by type of work, unit, or subject. Students will be able to see the categories, too. Navigate to the General channel under your desired classroom and select Assignments. Select Create > + New assignment. Select Add category > + New category, then type your new category name and press the Enter key. Tip: Remove a category by selecting the X. Categories currently being used will appear in the dropdown of choices when you select Add category. Select Assign. Student(s) will be notified of their new assignment. 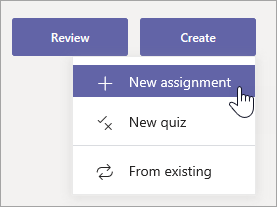 The assignment with category will appear on its due date in your list of assignments.